This week’s instalment of the #SBIDinspire interior design series features a development project with a philosophical concept, designed by Medhat Nehad. 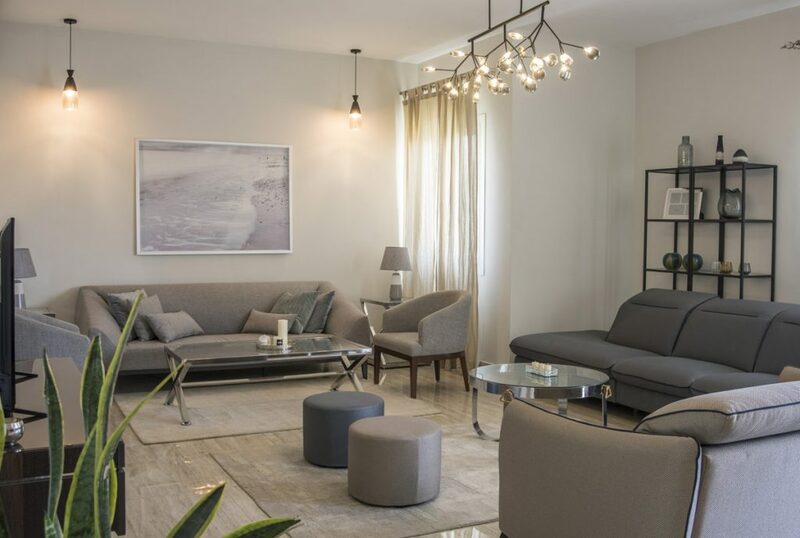 The concept revolved around guiding the client through an inspiring visual journey, from the moment they park their car to when they sign the contract to buy the property. The hierarchy starts with walking through the open landscape to the semi-transparent glass cube. 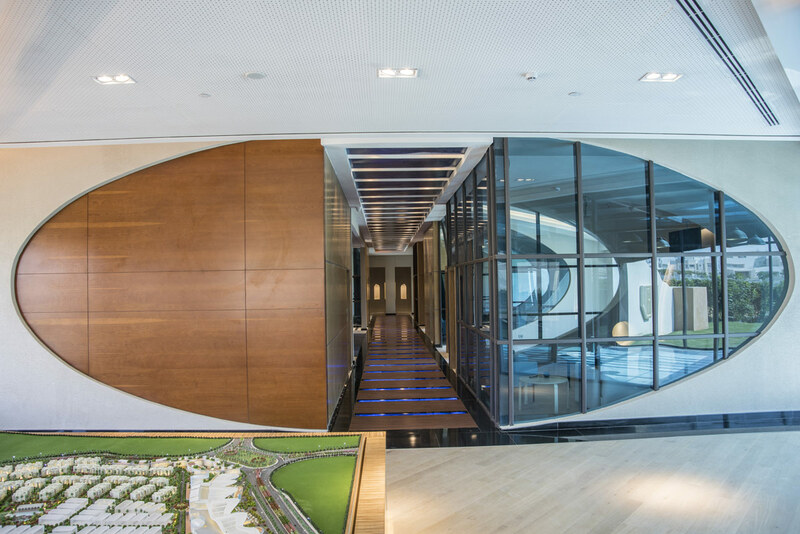 Next, the dynamically designed main reception hall is approached through a ceremonially-long corridor, before the focus of the project – the parabola-shaped room – is reached. The luxurious and modern touches of natural wood and glass enhances this unique project. Special lighting effects, for both the day and the night, strengthen it further. The architect took the challenge to negotiate the design concept with the client, convincing them to go through with these ideas in the Egyptian market. From the first meeting, they requested that Archiform to design the development with the concept of creating an outstanding new identity for the sales centre. 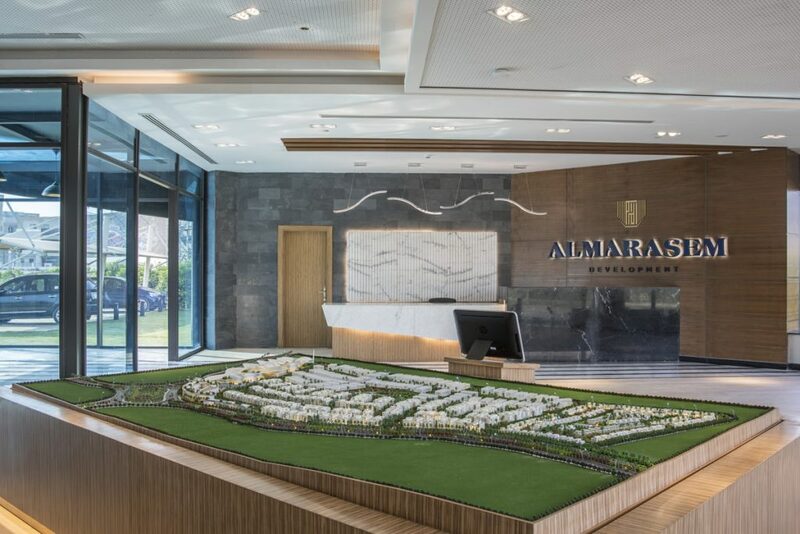 The sales centre will be used to sell the client’s exclusive properties through and must therefore make an impact as their prime sales location in the market. 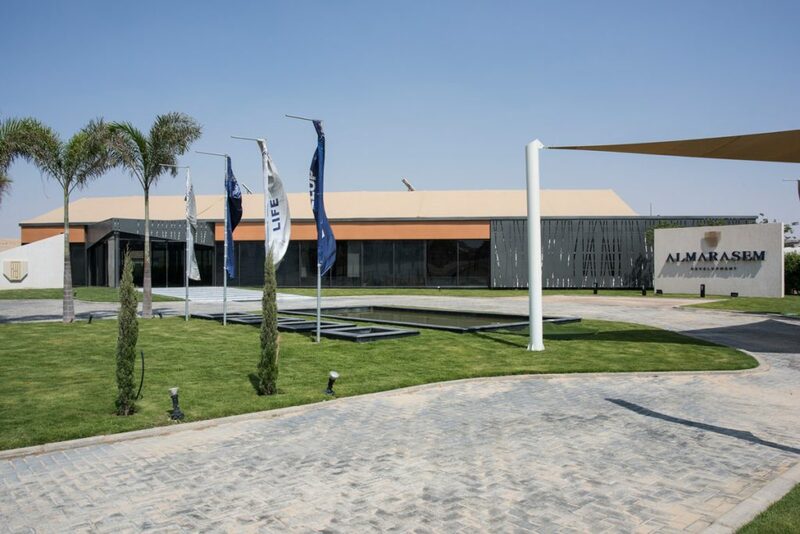 The aim of the build will be to impress the visitors and clients with the luxurious standard of the interior and exterior spaces to reflect their superior reputation whilst capturing the new ‘look’ and ‘experience’ offered by the showrooms and offices. As the lead designer on the project, I was inspired by organic shapes and geometrical forms. 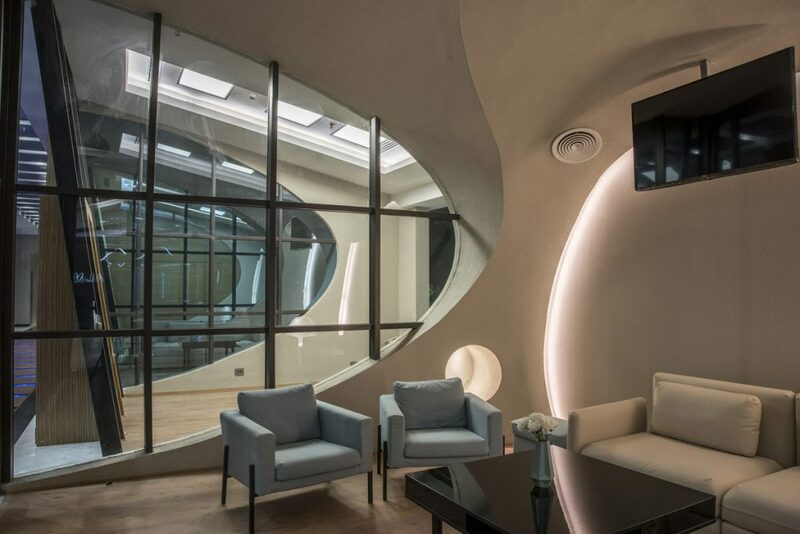 In particular, the way these forms can be intersected to create unique spaces which connect to each other in a fluid and inspiring way; offering a welcoming environment for the visitors and clients. The main idea was to create a long ‘path’ or journey for the visitor to feel like they are being invited through the building for a ceremonial welcoming. 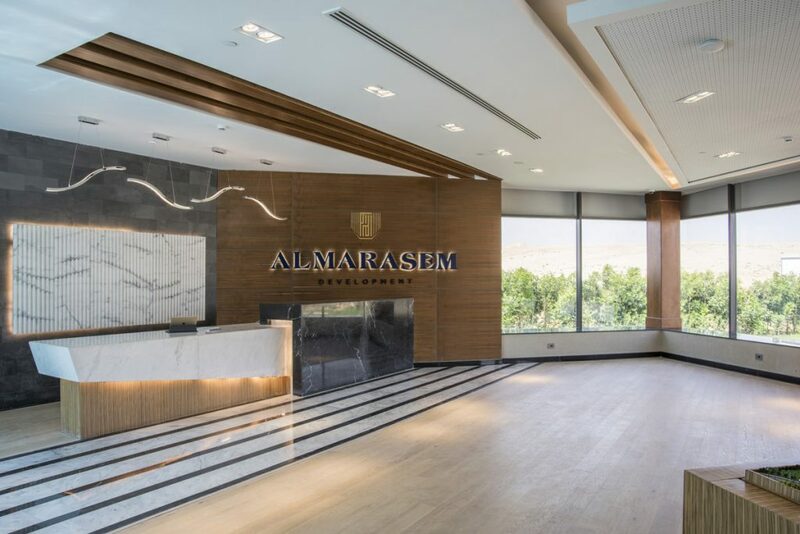 As the name of the company in Arabic language ‘Almarasem’ means to make a special process with a formal event to welcome the VIP visitors and clients through these prestigious spaces and exclusive surroundings. We experience three main challenges throughout this project. 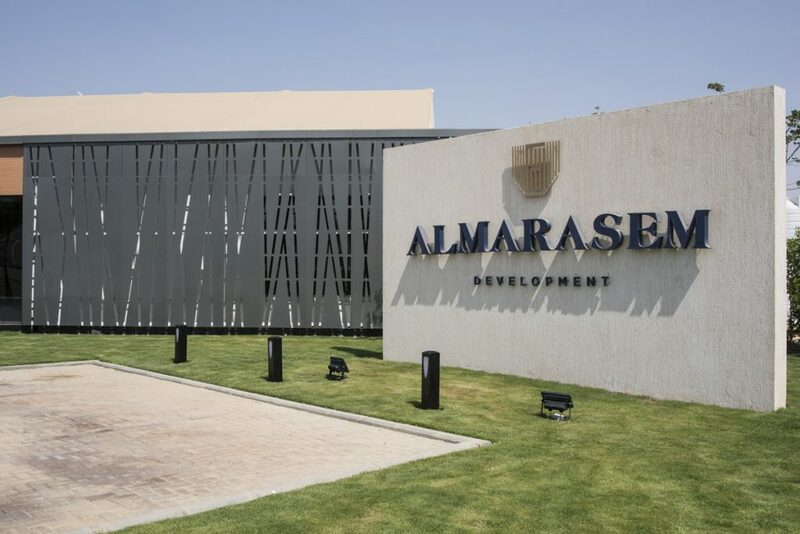 Firstly, the project was ran under a very tight schedule as the client needed to finish the project in maximum of 100 days from design to build. The tight time lines had the team working day and night for more than 15 days continuously in order to produce the first conceptual drawings package; including photo realistic perspectives. Secondly; as the designer I had to ensure I was effectively explaining the concept, parameters and parabolas geometric shapes to the team and the visualiser so it can be drawn correctly and illustrated clearly for the client, so they could better visualise our design ideas and approve it! 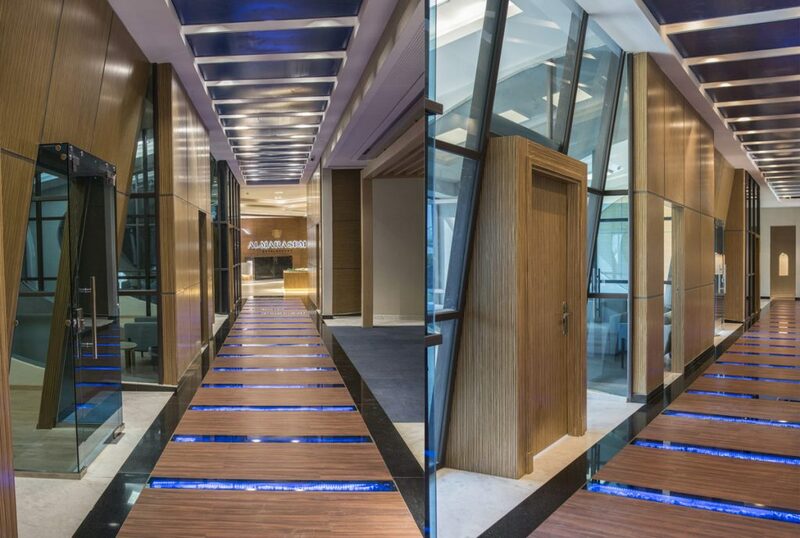 The third issue we faced, and arguably the toughest, was to convince the client that we can achieve these complicated shapes, be executed through the contractors and completed on within that very short time-frame we were set. Being able to deliver on a project of this magnitude, whilst achieving a high quality finish; capturing the essence of the client’s company as well as executing the design and build according to plan within the time-frame we were given. This has to be the most important highlight for me. From the time I had developed the concept of this project and as a member of the respectable SBID, I was quite sure that this project could bring great inspiration to enrich the industry of Architecture, interior design and landscape design. Also it served as a great opportunity to share my thoughts with fellow designers from all around the world, so I can be more inspired and do more in the years to come. I was so proud to be finalist for this particular project, especially as I was feeling confident that this project would measure up well against the world of design. If you missed last week’s Project of the Week featuring a sustainable and luxuriously designed African lodge for Wilderness Safaris’ Premier Camp, click here to see more.